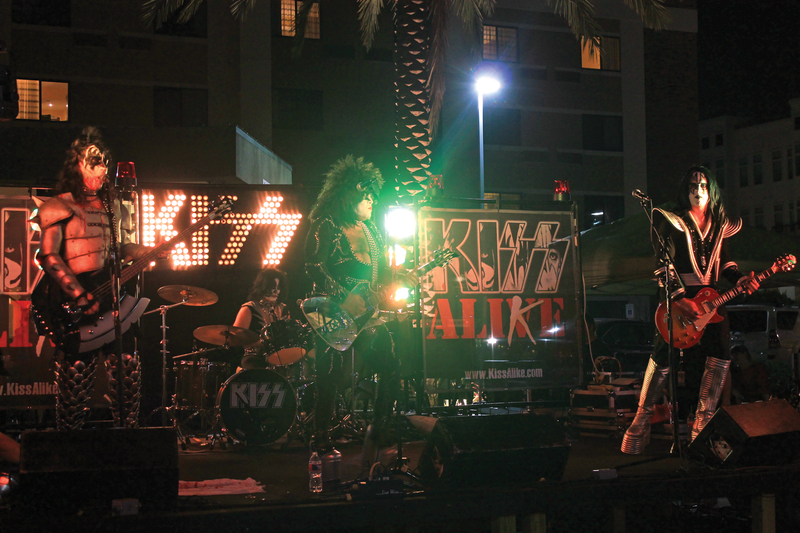 Kiss Alike takes the stage. 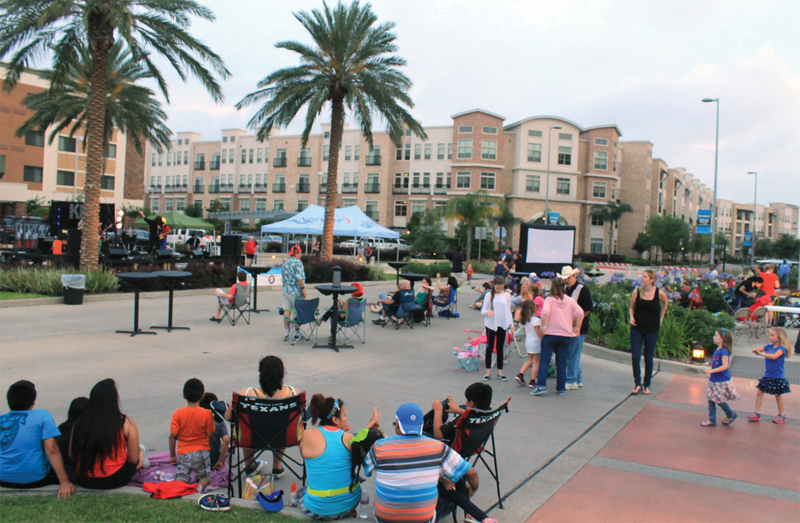 The City of Nassau Bay put on a great Spring Fling party on the square this year! Everyone partied the night away May 8 in the town square. The city hosts the Spring Fling every year as a way to thank the community with an event that is fun for the whole family. The event was from 7 until 11 and the rain chance was around 30 percent with a lot of hopefuls for the rain to hold off since the event had already been rescheduled due to rain. 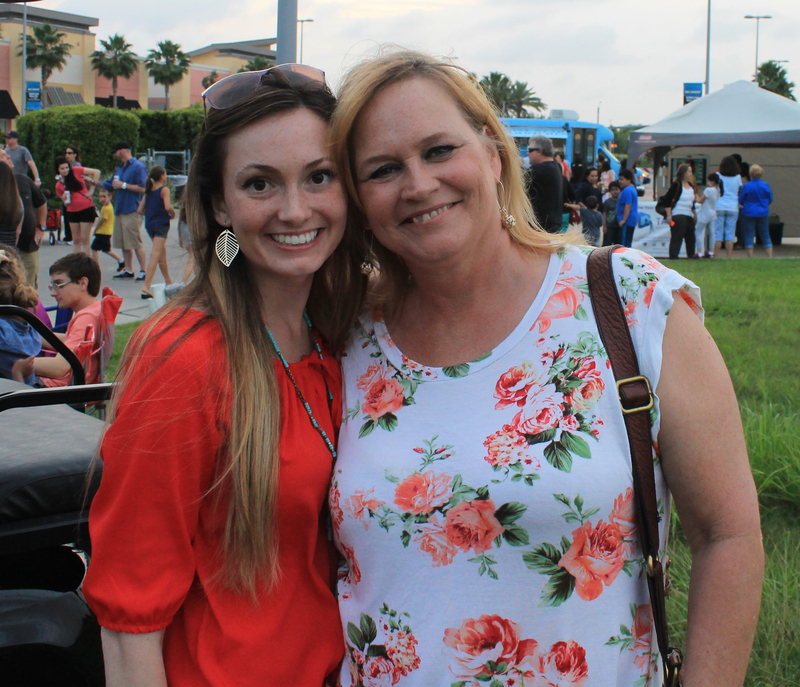 There were some local favorites such as the band Kiss Alike, food trucks Angies Cake: cakeballs and cakepops and Lone Star Samwiches, and other activities. Fans gather around as the band sets up to preform. The night started out with the 80s cover band The Rads, who were dressed in their best character costumes. What a show they put on! They were the perfect band to get everyone pumped for the main event. Around 9, the main band Kiss Alike came on. As soon as they hit the stage everyone started dancing and singing along to all of their favorite Kiss songs. And they rocked all night long! Well… till 11 at least. Throughout the night there were other activities for people to enjoy such as face painting, a hand rolled cigar lounge, and a green screen photo booth. What was really cool is they showed their home town spirit for #rednation and played the rockets playoff game on their inflatable outdoor big screen. Of course none of this would have been possible without the help of some wonderful community volunteers such as the City of Nassau Bay Fire Department, Clear Springs High School Wrestling Club and the City of Nassau Bay EMS. These great volunteers made sure that everything ran smoothly and everyone stayed safe. All and all, the Spring Fling was a great success and is a great option for an event to get the whole family together. I am personally looking forward to their next event that should be happening Aug. 18. For any information on events happening around the Nassau Bay or to possibly help sponsor any of these events, you can find the most current information on its Facebook page www.facebook.com/nassaubay or call 281-333-4211.